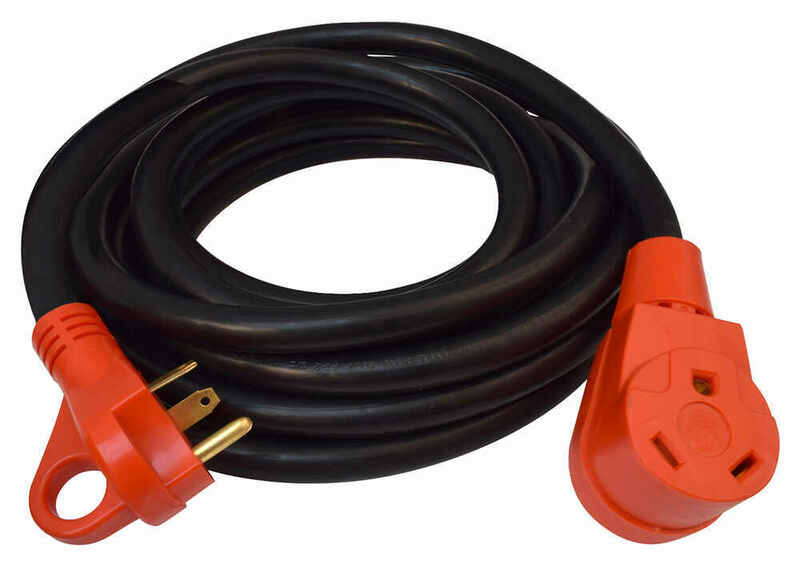 Mighty Cord RV Power Cord Adapter - 30 Amp Twist Lock Female to 30 Amp Male - 12"
Mighty Cord Generator Adapter for RV Power Cord - 30 Amp Female to 30 Amp Twist Lock Male - 12"
Connect this extension cord to the 30-amp male plug on your RV's power cord or power cord adapter and get an extra 25' of length to make it easier to hook up to a 30-amp power source at the RV park. Built-in handle makes disconnecting easy. 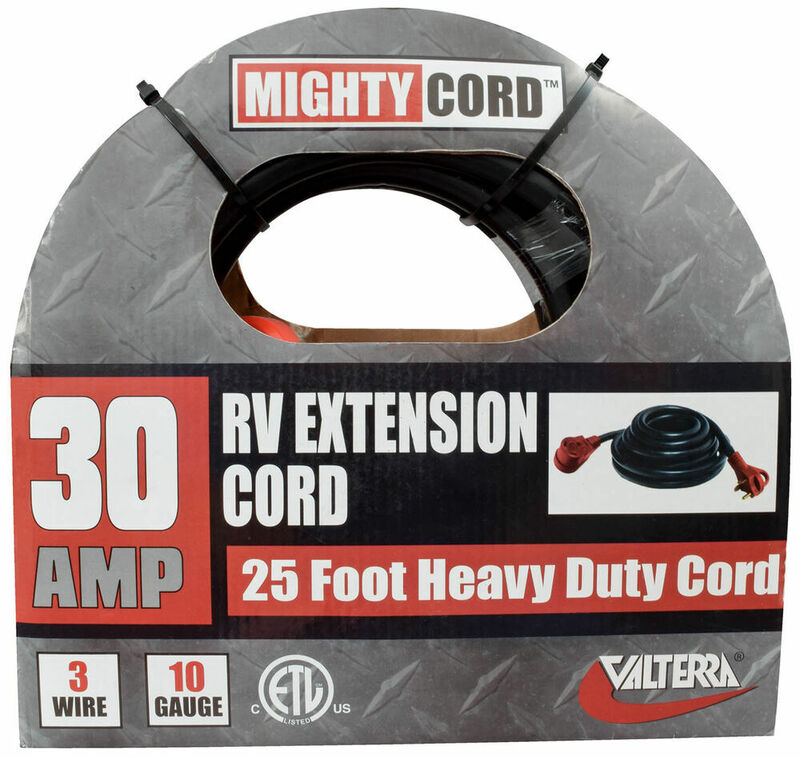 Lowest Prices for the best rv wiring from Mighty Cord. 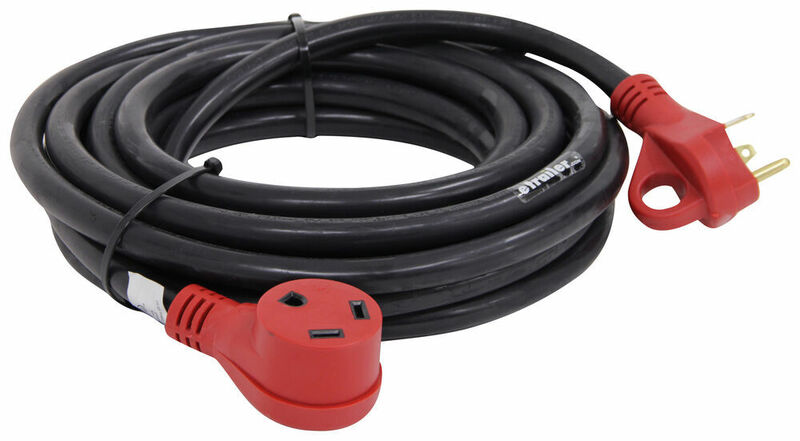 Mighty Cord 25' RV Power Cord Extension w/ Handle - 120V - 30 Amp part number A10-3025EH can be ordered online at etrailer.com or call 800-298-8924 for expert service. 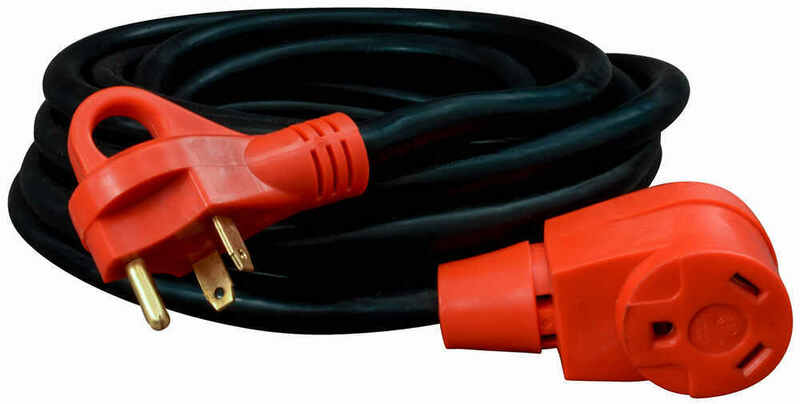 Connect this extension cord to the 30-amp male plug on your RV's power cord or power cord adapter and get an extra 25' of length to make it easier to hook up to a 30-amp power source at the RV park. Built-in handle makes disconnecting easy. 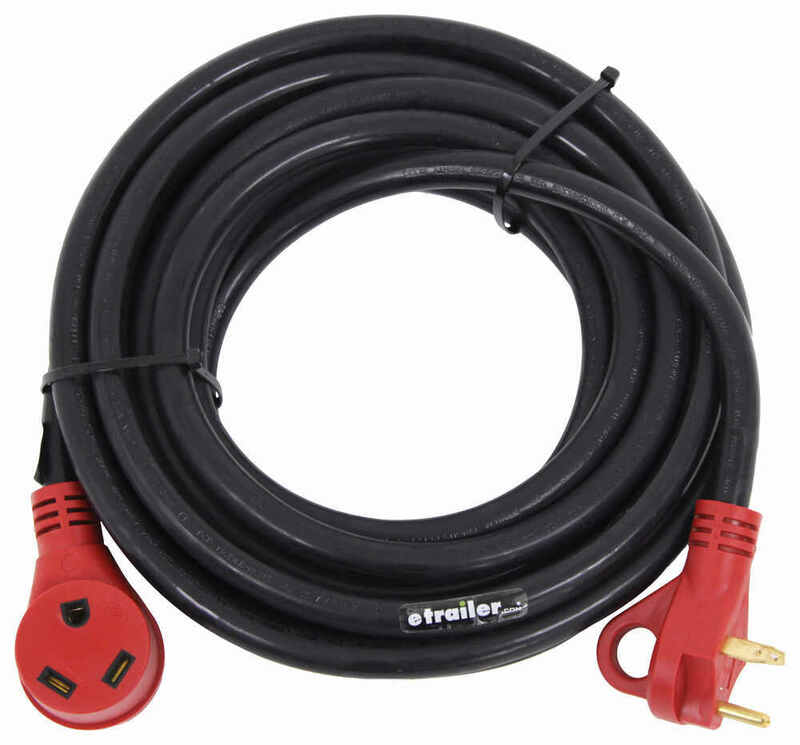 Connect this extension cord to the 30-amp male plug on your RV's power cord or power cord adapter and get an extra 10' of length to make it easier to hook up to a 30-amp power source at the RV park. Built-in handle makes disconnecting easy. 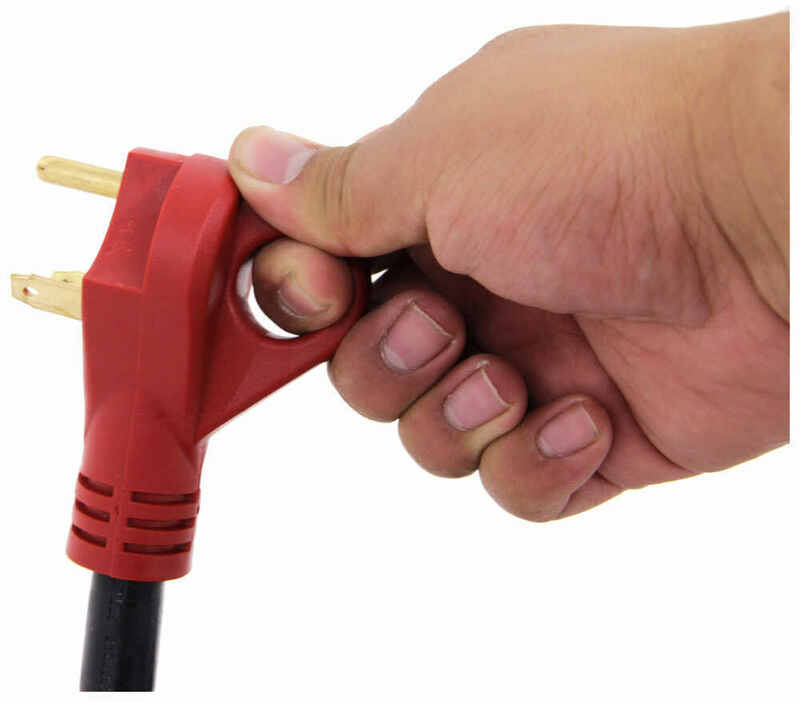 Connect this extension cord to the 30-amp male plug on your RV's power cord or power cord adapter and get an extra 50' of length to make it easier to hook up to a 30-amp power source at the RV park. 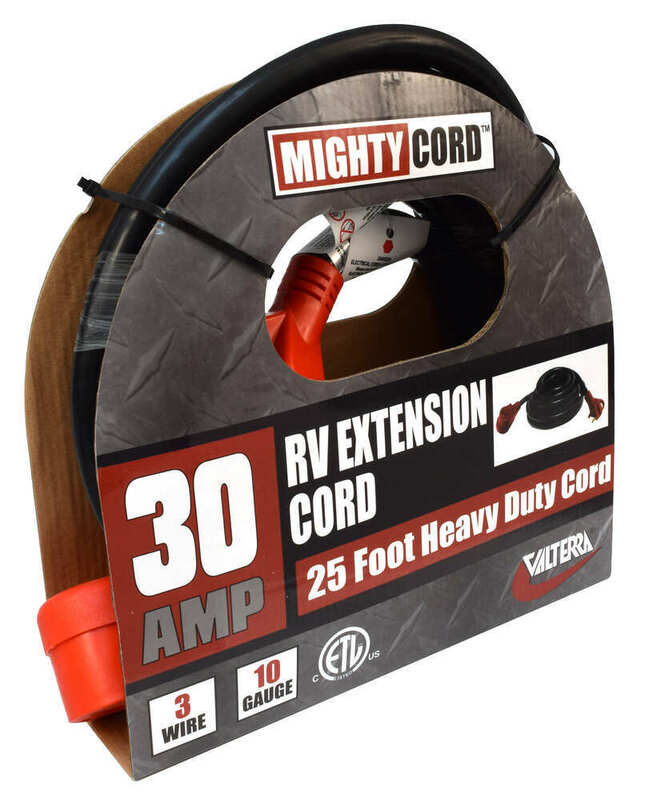 Mighty Cord Dogbone RV Power Cord Adapter - 30 Amp Female to 50 Amp Male - 12"
Today we're going to take a look at the Might Cord 25 foot long Heavy Duty RV Power Cord Extension with the finger grip handle. 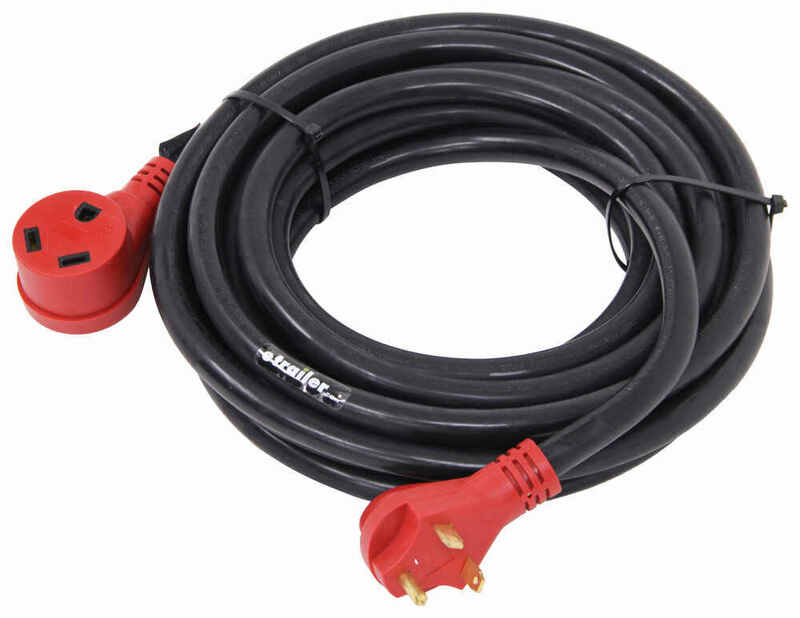 Now this heavy duty 30 amp 125 volt RV power cord extension will add 25 feet of length to your RV's 30 amp power cord. The female end portion, right here, will connect to you RV's 30 amp power plug. 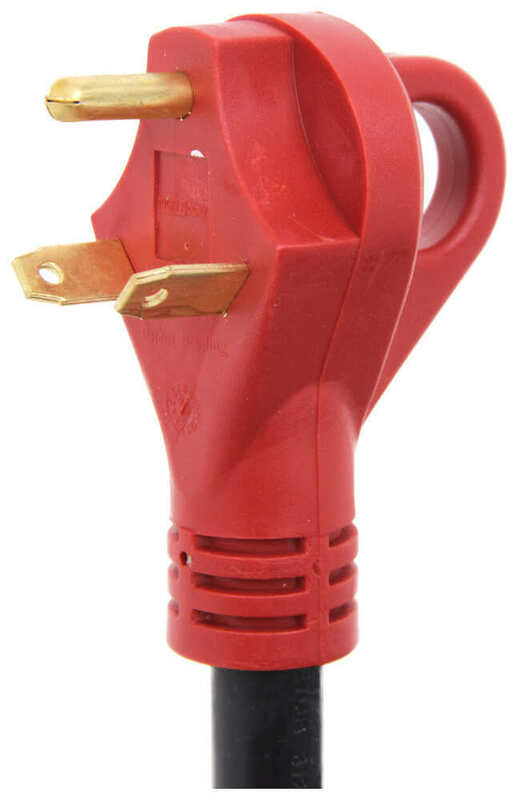 The male end will plug into your 30 amp receptacle at the RV park. If you notice it has this nice built in finger pull handle on the male end connector which makes unplugging the cord very easy. If you notice both connectors are red in color with makes it very easy to see them in low light. This cord is constructed with heavy duty 3 wire 10 gauge cable. It is 30 amps, the length, again, is 25 feet and this does meet the US and Canadian ETL listed standards. That should do it for the review on the Might Cord 25 foot long Heavy Duty RV Power Cord Extension with the finger grip handle. 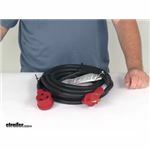 Order: RelevanceNewestRating - High to LowRating - Low to High Connect this extension cord to the 30-amp male plug on your RV's power cord or power cord adapter and get an extra 25' of length to make it easier to hook up to a 30-amp power source at the RV park. Built-in handle makes disconnecting easy. Do you have a question about this RV Wiring? Highest quality rv wiring for the best price. Most detailed, accurate rv wiring information available.